The Georgia Flu explodes over the surface of the earth like a neutron bomb. News reports put the mortality rate at over 99%. Civilisation crumbles. Twenty years later, a band of actors and musicians called the Travelling Symphony move through their territories performing concerts and Shakespeare to the settlements that have grown up there. Twenty years after the pandemic, life feels relatively safe. But now a new danger looms, and it threatens the hopeful world every survivor has tried to rebuild. Moving backwards and forwards in time, from the glittering years just before the collapse to the strange and altered world that exists twenty years after, Station Eleven charts the unexpected twists of fate that connect six people: famous actor Arthur Leander; Jeevan, a bystander warned about the flu just in time; Arthur's first wife, Miranda; Arthur's oldest friend, Clark; Kirsten, an actress with the Travelling Symphony; and the mysterious and self-proclaimed prophet. 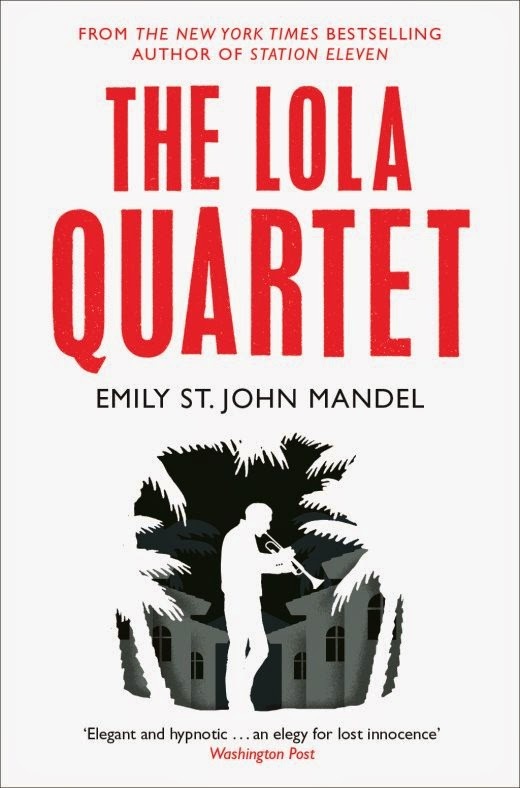 Thrilling, unique and deeply moving, this is a beautiful novel that asks questions about art and fame and about the relationships that sustain us through anything—even the end of the world. Station Eleven's "lost world"—our world—is not recovered but remembered in Emily St. John Mandel's aching account of the apocalypse: a tale of two times which takes as its basis the affairs of the folks affected, both before and after the fact, by the actor and philanderer Arthur Leander. The man himself dies of a massive heart attack in the first chapter, passing away onstage during the climactic fourth act of a performance of Shakespeare's King Lear. Jeevan Chaudhary, an apprentice paramedic in the audience that evening, does his level best to save the day, but Arthur Leander is already lost: the last celebrity to fall before the Georgia Flu takes them all. Child actress Kirsten Raymonde also witnesses this, but remembers precious little of it twenty years later, when the second phase of Station Eleven takes place. Some might think her disconnect a blessing—"the more you remember, the more you've lost," after all—yet Kirsten has searched ever since for ephemera of everyday existence before the fall; especially for ephemera connected to Arthur Leander, and to the kindly stranger—the same soul who attempted CPR on the aforementioned actor—who was there for her that night. The Traveling Symphony performed music—classical, jazz, orchestral arrangements of pre-collapse pop songs—and Shakespeare. They'd performed more modern plays sometimes in the first few years, but what was startling, what no one would have anticipated, was that audiences seemed to prefer Shakespeare to their other theatrical offerings. Civilisation in Year Twenty was an archipelago of small towns. These towns had fought off ferals, buried their neighbours, lived and died and suffered together in the blood-drenched years just after the collapse, survived against unspeakable odds and then only by holding together into the calm, and these places didn't go out of their way to welcome outsiders. But sometimes—in the mode of the motto taken from Star Trek: Voyager and scrawled on the Traveling Symphony's lead caravan—sometimes, as Seven of Nine said so memorably, "survival is insufficient": a lesson Kirsten and company would do well to remember when they cross swords with a self-styled prophet in St. Deborah by the Water. "We are the pure," he preaches, and "that flu was our flood." Unwilling to make waves, they leave said settlement just as soon as they see its sinister side. 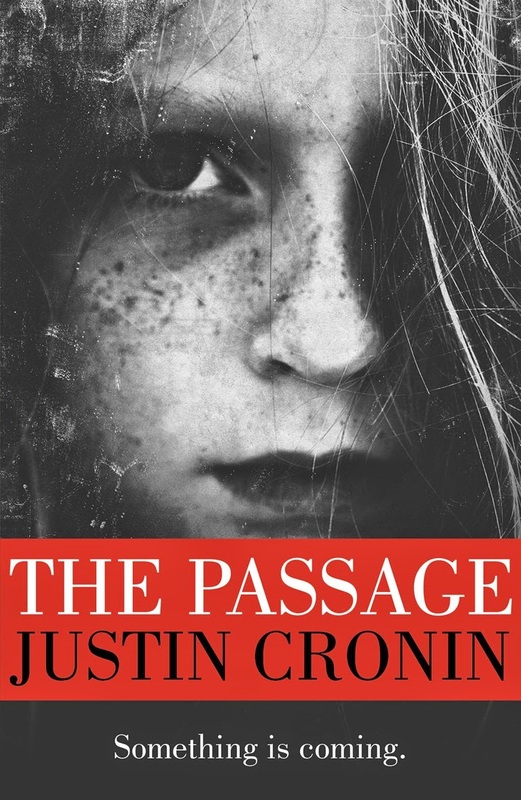 What they don't know then, though, what they don't discover until the damage is done, is that a twelve-year-old has stowed away with them—a child bride the perverted prophet badly wants back. Miranda sits on the floor beside Elizabeth, whose breath is heavy with wine, and she leans back until she feels the reassuring solidity of the door frame against her spine. Elizabeth, who is crying a little, bites her lip and together they look at the sketches and paintings pinned to every wall. The dog stands at attention and stares at the window, where just now a moth brushed up against the glass, and for a moment everything is still. Station Eleven is all around them. 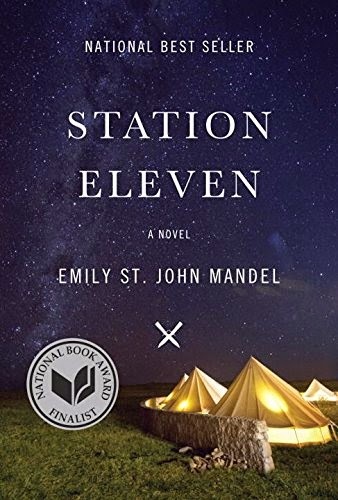 Station Eleven—which takes its title from a comic book-to-be poor misbegotten Miranda pours her whole heart and soul into; the same comic book the so-called prophet holds dear decades later—Station Eleven finds such meaning in these moments of minutiae, such incredible intimacy, that the reader rarely recalls the apocalypse of its premise. The author takes pains to keep it off the page in any case. The moments Mandel is more interested in—to the text's benefit, to be sure—do not exist in isolation either, though they frequently appear to. Eventually, connections are sketched between them—connections that draw one character into the orbit of another and conjoin this civilisation to that—but even these don't come easily. 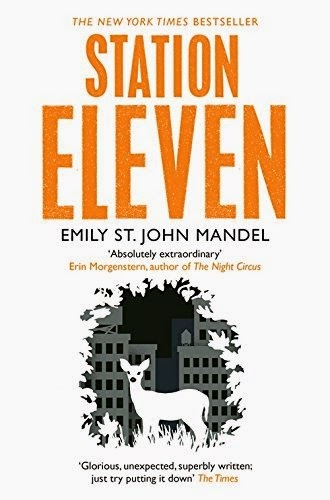 Station Eleven features a great many moving pieces, and its pace is... not plodding, precisely, but rarely rushed. Indeed, there abounds "a feeling of moving in slow motion, like walking underwater or in a dream" such that it is "necessary to concentrate carefully on each step." But patience, please, because what takes shape, in time, is a truly transcendent Iñárritu-esque epic about remembering and forgetting, complete with impeccably crafted characters and an abundance of love for the little things that make life worth living. Little things like this book, in truth. Nice review! This books is very high on my wish list right now. 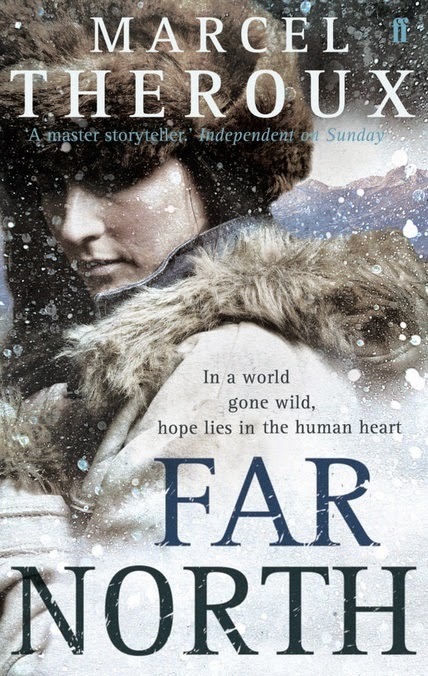 It seems like it is getting lots of good press among the SF/F online community. As a fan of sci-fi and apocalyptic books, I thought this novel was interesting since it focused on a different message than surviving a virus, or the medical information that usually accompanies it. This novel focuses more on the message of what a human SOUL needs to survive, as opposed to a vaccine. If you compare this book to "Outbreak", the subject matter is very similar, but the storyline and way it is approached is from an entirely different direction.